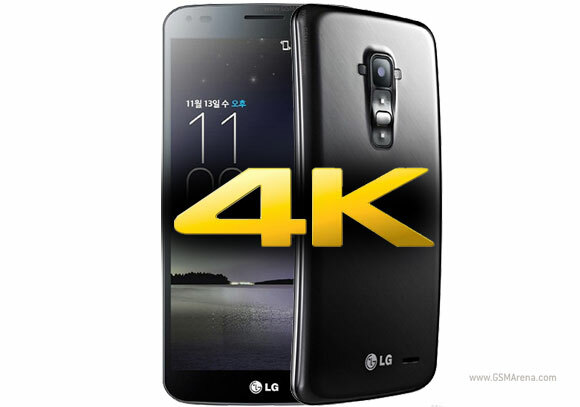 An anonymous tip containing a leaked User Agent profile of the LG G Flex suggest the phone is going to get 4K video recording as part of its Android 4.4 KitKat update. A screenshot of the User Agent profile in question reveals all the video recording modes that the LG G Flex is going to support, and 2160p is among them. The exact schedule of the Android 4.4 KitKat update isn't yet known. LG's first smartphone with flexible display just won the 2014 iF Design Award. The G Flex launched on February 1 in Europe with more than 20 countries now offering the device. SIM-free prices in the UK run pretty high – Amazon UK is asking £590, while Expansys is running the pre-order at £690. Phones4u has a news article about the G Flex coming to the UK but no pricing yet. We also dug up the LG G Flex in Germany for some euro prices - €850 from Amazon. There's also an offer from NotebooksBillinger at €900. There are a few cheaper offerings - €750 on Amazon France but that's for the South Korean model (F340), which doesn't guarantee LTE compatibility. In Singapore, mine my G Flex Since Dec 2013 has option to record UHD 3840x2160, tho no image stabilization. So far,the curve design and its self-healing features really amaze me.and now for the kitkat upgrade they are bringing it with 4K video recording..great!